In light of numerous contradictions between passages in Jubilees, this study proposes a new, literary-critical method to understand the development of the book. 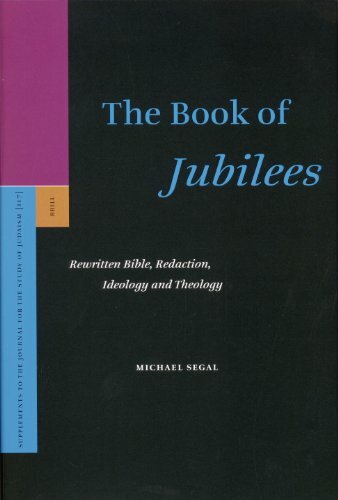 This analysis is significant for the interpretation of the diverse ideological and theological viewpoints found in Jubilees. Michael Segal, Ph.D. (2004) in Bible, Hebrew University of Jerusalem, is a Lecturer in the Department of Bible at the Hebrew University, and serves as Associate Editor of the Hebrew University Bible Project.